Welcome to Oswald's Bear Ranch and our location. 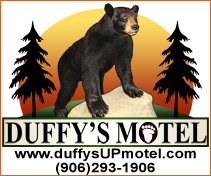 We are in the heart of Michigan's Upper Peninsula surrounded by forests, lakes and streams. Our property and its environment has become a place of rescue where bears can roam in their large habitats and live a comfortable life. Come and experience our incredible Upper Peninsula and our ranch just north of Newberry, MI. We look forward to your visit. Oswald's Bear Ranch is located just 22 minutes of the Upper Tahquamenon Falls. 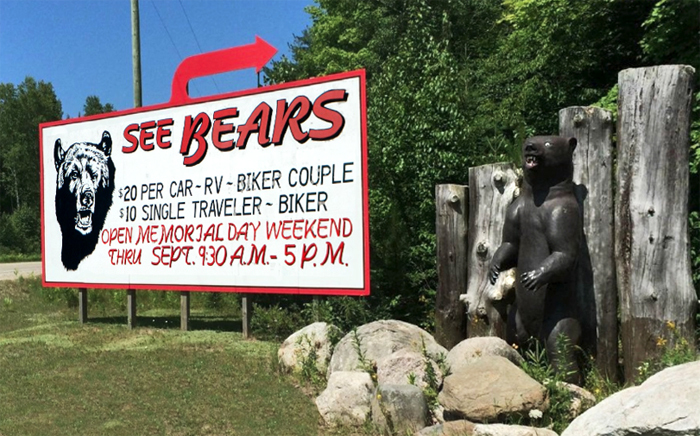 Please travel south on M-123 for 18 miles, then take a right on 407 and continue for 4.5 miles to our entrance—watch for the sign and big bear at the entrance. We are located just a few minutes from Newberry, MI. Simply head north 4 miles on M-123 towards Tahquamenon Falls. Turn left at 4 Mile Corner (Deer Park Rd, Muskallonge Lake, H-37 H-407). Then it's 4.5 more miles to see the home of Tyson Bear (died July 2, 2000) certified weight of 880 lbs. 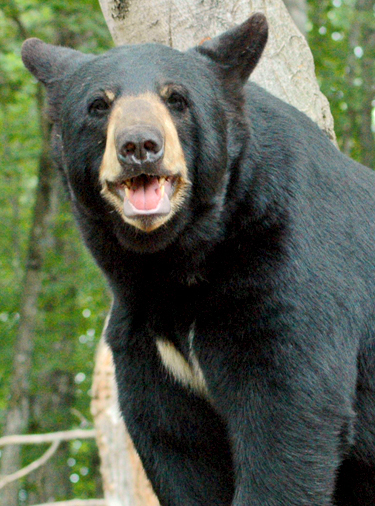 The Largest Black Bear in the U.S. and possibly the World—watch for the sign and big bear at the entrance.